Reissue and update of 1970 publication. 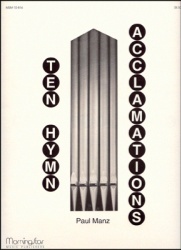 Terse announcement of hymn to congregation - sometimes suggests melodic line, sometimes announces entire melody. Some also as optional varied accompaniments. Seasonal and non-seasonal.